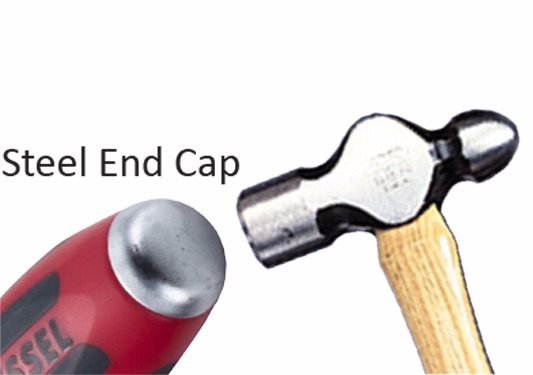 The tang-thru (or demolition type) handle features a shank that goes through the handle and connects to a large metal end cap. 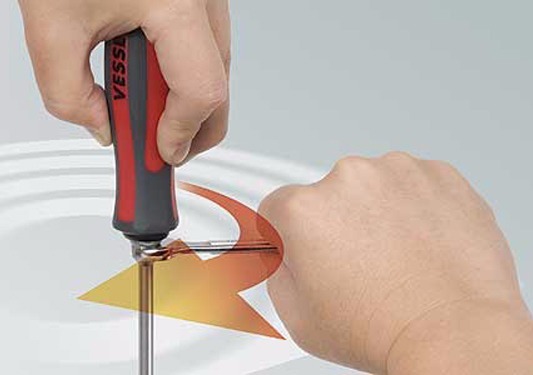 This allows the operator to strike the handle with a hammer without damaging the screwdriver handle, making them excellent go through screwdrivers, demolition screwdrivers, and striking screwdrivers. 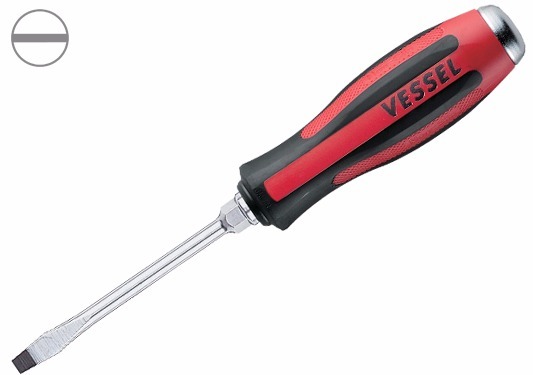 Other features include a fully hardened chrome vanadium steel shank, magnetized high-precision black point tips, and a bolster so that it can be turned with a wrench for additional torque while tightening or loosening. These durable screwdrivers are designed for professional use such as automotive repair and maintenance, electrical work (e.g. to remove “knock-outs” in electrical panels), construction, industrial work, and general fastening applications.